One of my goddaughters came to our house recently. There was no occasion for the visit, she said she just wanted to hang around. I would have gladly received her, but her visit was unnanounced. Worst yet, it was an unholy hour for a ten-year old girl to come a long way from her house. Her visit bothered me (and my chores). First of all, she came without adult supervision. Second, she did not knock at the door but tried to get in as if it was her own house. She had this rude sense of familiarity to others. Lastly, she had a little friend that was a complete stranger to me. They came without a purpose. All she did was talk a lot and poke around my unfinished projects. My mom guessed that she just wanted to brag her pretty godmother to her friend. My guess was that she just wanted to catch the attention of some people by bothering them. In the end, we shooed them away nicely. It’s good to have visitors in the house. But there has been this sense of over familiarity with others that we have lost courtesy to them. 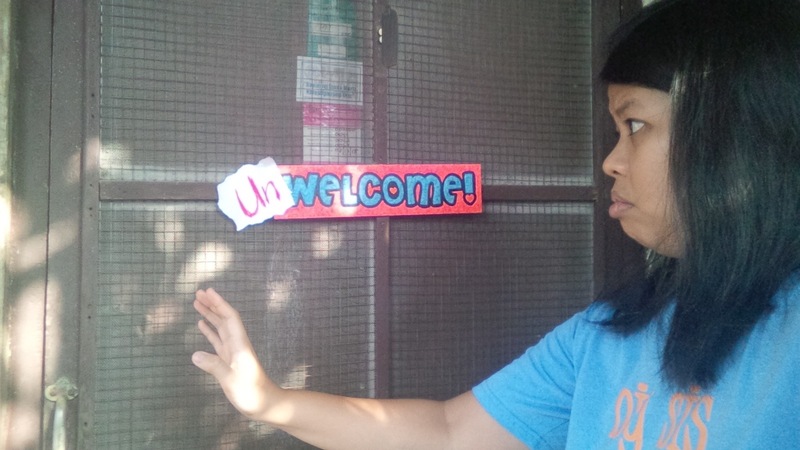 So, instead of being welcomed, visitors tend to become bothersome. 1. Have a winsome purpose in dropping-by. Usually, an occassion (like a birthday or a wedding) is enough reason for visiting a friend or a relative. But if you are to ask for favors, please don’t drop by again and again just to ask for a brush, a stereo, and to borrow money and borrow money again. What would touch the host’s heart is that you would visit to just to see them because you love them. One of my mother’s former students has been a regular visitor at home. But he is always treated as a welcomed guest even if he would just see how she’s doing or he would be simply asking for advice. He has never been a nuisance because he has always shown courtesy, which leads me to my second point. 2. Show courtesy. Knocking the host’s door is one. Another would be giving your host a heads up by texting or calling them before arriving at their door. I’m not against surprise visits, but it would be an embarrassment for the guest when the host is not at home. I also mentioned about familiarity. Please, don’t poke around the house (and the fridge) as if it’s your own. Only high-leveled, close buddies can do that. Try to be courteous by not touching anything (except for coffee table books and magazines) when you’re in. If things in the host’s house are interesting, you can talk about it. But if you find it irrisistably interesting, you should ask permission before you can touch (or poke) it. 3. Bring a little blessing to your host. My mom taught me to bring something whenever we visit a friend or a relative. You might think it will cost you much but doesn’t necessarily be a smogasboard to please your host. I guarantee you that generosity can bring happiness. An old friend I gave surprise visits before was happy with the take-out meal or small pastries I gave her. Bringing something to the host can be an expression of love. Visitors should show their appreciation by giving a little something to their hosts. The next time you give somebody a surprise visit, be sure to be called a welcomed guest. Although guests should be treated highly, the guest should also show their appreciation to the host by being well-mannered. I am always used to eating alone. It looks sad, but there are times I would just like to hang out with my own self. 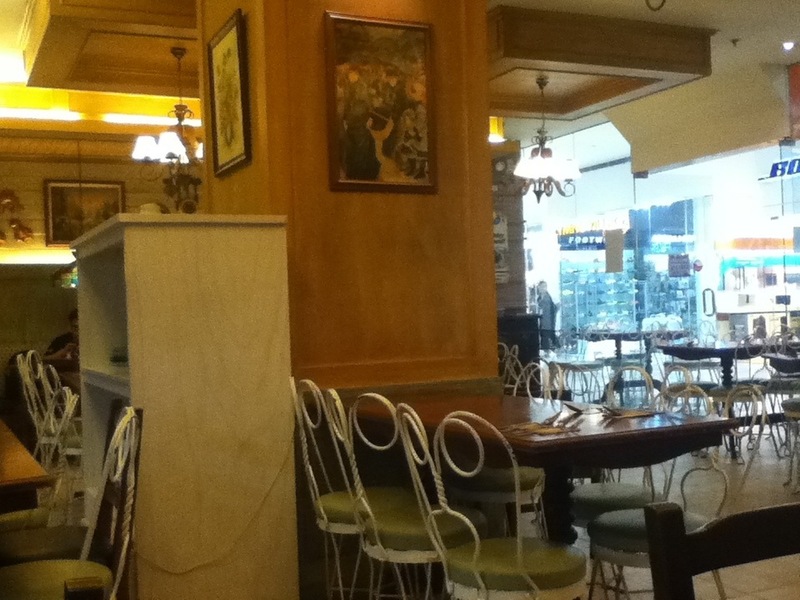 The Old Spaghetti House has been one of my favorite pasta houses in Manila. They offer various red and white pasta meals, would be better if it’s a meal. One of my orders was golden crusted chicken with angel hair pomodoro. 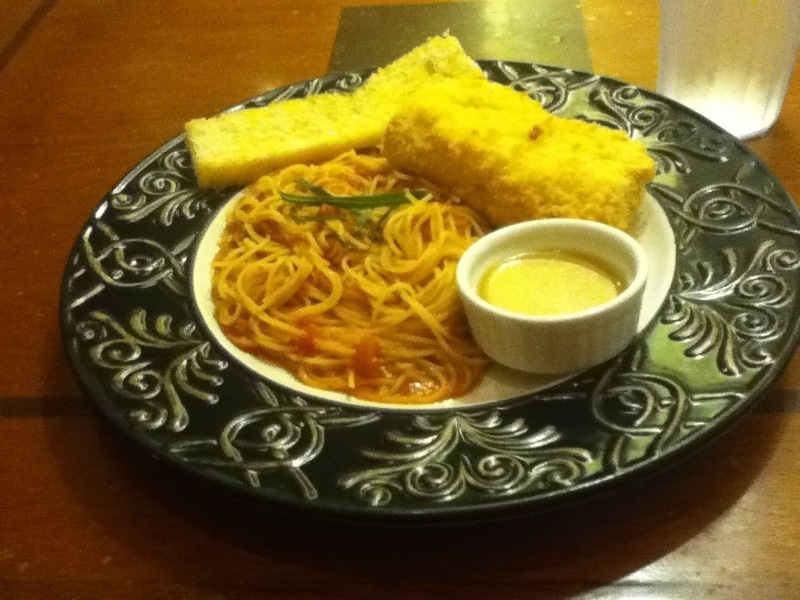 I’m no food critic but it find it enough to fill my hunger pangs…as long as it has pasta. But the best for loners like me would be the old, homey feel of the place. Classic watercolor paintings, a few fancy china, and other western vintage decors give the place a classy atmosphere. These are the kind of places where I can write my heart away. This is where I can just stare, unload my brain and ease my emotions while I munch on my food. It’s like finding home within a jungle of commerciality and expensive glitter. I don’t have to hurry my food, then. For now, I can’t invite friends. I need the time to be alone. But there’s always a time for everything. I’m sure on the next food trip, I’ll have some friends to enjoy the moment with me.